Our Food Conference and Leadership Awards represent exciting and empowering development in the future of our country’s food system. We are looking for partners that share similar vision and values to support our annual conference, where actionable conversations about our food system happen and where we can help to affect positive change. GRACE Communications Foundation partners with the James Beard Foundation to highlight sustainable food leaders. Our future depends on more balanced and sustainable food, water, and energy systems and GRACE highlights the interconnections among these systems, educating consumers, advocates, and policy makers through such innovative web-based initiatives as Sustainable Table, Eat Well Guide, the Meatrix, and the Water Footprint Calculator. GRACE also collaborates with the Monday Campaigns (Meatless Monday, Healthy Monday, and Kids Cook Monday), which, in association with leading schools of public health, advocate for healthier choices through a weekly Mondays prompt to start and sustain healthy behaviors. Learn more at gracelinks.org. Learn more at gracelinks.org. The Mushroom Council is composed of fresh market farmers or importers who average more than 500,000 pounds of mushrooms produced or imported annually. The mushroom program is authorized by the Mushroom Promotion, Research and Consumer Information Act of 1990 and is administered by the Mushroom Council under the supervision of the Agricultural Marketing Service. Research and promotion programs help to expand, maintain and develop markets for individual agricultural commodities in the United States and abroad. These industry self-help programs are requested and funded by the industry groups that they serve. The Blend, a Mushroom Council initiative that combines ground meat with finely chopped mushrooms, exists to make dishes better through unmatched flavor, inherent nutrition benefits and more sustainable cooking. For more information on the Mushroom Council, visit mushroomcouncil.org. Bon Appétit Management Company is an on-site restaurant company offering full food-service management to corporations, universities, and specialty venues. Based in Palo Alto, CA, Bon Appétit has more than 650 cafés in 33 states, including at Google, Oracle, eBay, Johns Hopkins University, Stanford’s Graduate School of Business, and the Getty Center. Bon Appétit food is cooked from scratch, including sauces, stocks, and soups. 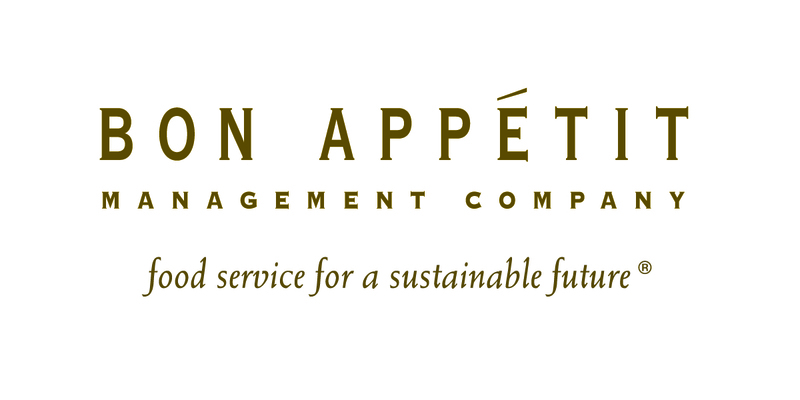 A pioneer in environmentally sound sourcing policies, Bon Appétit is the first food service company to address local purchasing, the overuse of antibiotics, sustainable seafood, the food and climate change connection, humanely raised meat and eggs, and farmworker welfare. 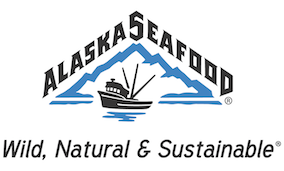 It has received numerous awards for its work, from organizations including the James Beard Foundation, Chefs Collaborative, Natural Resources Defense Council, Seafood Choices Alliance, and The Humane Society of the United States. Learn more at bamco.com or watch our 5-minute video. Over 20 years of producing premium organic wines in idyllic Northern California has led to Bonterra Vineyards maintaining its position as America’s #1 Organic Wine Brand. Award-winning winemaker Bob Blue passionately believes that organic grapes make better wines. At Bonterra we believe that a wine should be the perfect expression of the grape from which it’s made and the land on which those grapes are grown. That belief guides everything we do here. It’s why we grow lavender, olives and hundreds of other plants in addition to grapes, and why chickens and sheep roam amongst our vines. All these small details help make our vines some of the strongest in the world, and that shows through in our wines. Founded in 1885, Good Housekeeping magazine reaches nearly 25 million readers each month, plus another 10+ million online at goodhousekeeping.com. The Good Housekeeping Institute, a state-of-the-art consumer product testing facility launched in 1900 and staffed by engineers and scientists who evaluate thousands of products each year in its six labs, is key to the unrivaled trust that readers and consumers have in the Good Housekeeping brand and the Good Housekeeping Seal. The Seal, introduced in 1909, and the Green Good Housekeeping Seal, created in 2009, are among the most recognized consumer icons and are backed by a limited warranty that provides a replacement or refund for up to $2,000 if a product proves defective within two years of purchase. In addition to its U.S. flagship, Good Housekeeping publishes 10 editions around the world. Hearst Magazines is a unit of Hearst Corporation, one of the nation’s largest diversified media and information companies. With 21 titles in the U.S., Hearst is the leading publisher of monthly magazines in terms of total paid circulation (AAM 2H 2014) and reaching nearly 81 million adults (Fall 2014 MRI gfk) and nearly 44 million site visitors each month. 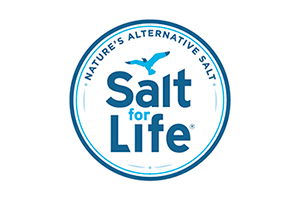 Salt for Life is Nature’s Alternative Salt, a revolutionary packaged blend of naturally sourced potassium salt from Canada and sea salt from Brazil. Salt for Life has 75% less sodium than regular table salt using a proprietary recipe that replaces sodium, which is generally over-consumed, with potassium, a necessary and under-consumed nutrient. Salt for Life can be used in the same way and amount as you use regular table salt and is great for both topical and in-recipe use, providing the salt taste you love with improved nutrition. The Future Market is a conceptual grocery store that imagines what the world of food would look like in the year 2065. Through our online and physical marketplaces, launching in 2016, we will showcase visions of the future through food product concepts. The goal of the Future Market is the raise the bar for innovation in the food world today by thinking more ambitiously about tomorrow. The Future Market is a retailer of innovative ideas that hold the potential to create a future of food that's better for the planet, people, and profit. Learn more about the Future Market at our website, thefuturemarket.com, where you can also subscribe to our weekly e-newsletter, The Future Chronicle, that highlights and forecasts the food trends shaping our world in the next 50 years. We would be delighted to have the your support as we continue to develop and expand on these exciting new programs. For more information regarding partnership on these initiatives, please click here. A list of our 2014 partners can be found here. A list of our 2013 partners can be found here. A list of our 2012 partners can be found here.